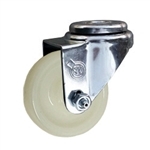 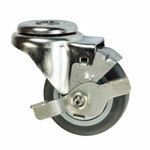 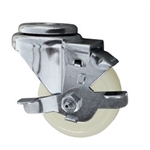 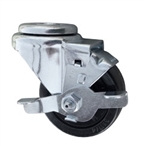 Our #20 Series casters with 1/2" hollow rivet bolt hole for fastening. 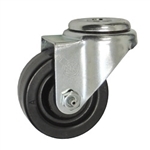 Constructed of high-strength steel with double ball bearing raceways. 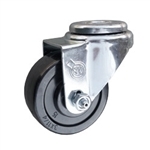 Axles are 3/8" with lock nut. 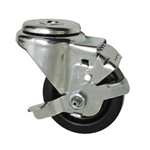 Ideal for utility carts, store fixtures, food service, and institutional equipment.